Embrace the magic of baseball when you make the pilgrimage to one of the most celebrated sport shrines in the world. Relive all the emotions of the game at this iconic Cooperstown attraction, a multi-media museum that honors the sport's tradition and its powerful ability to connect generations. Listen to classic radio broadcasts and see baseballs used in famous games. 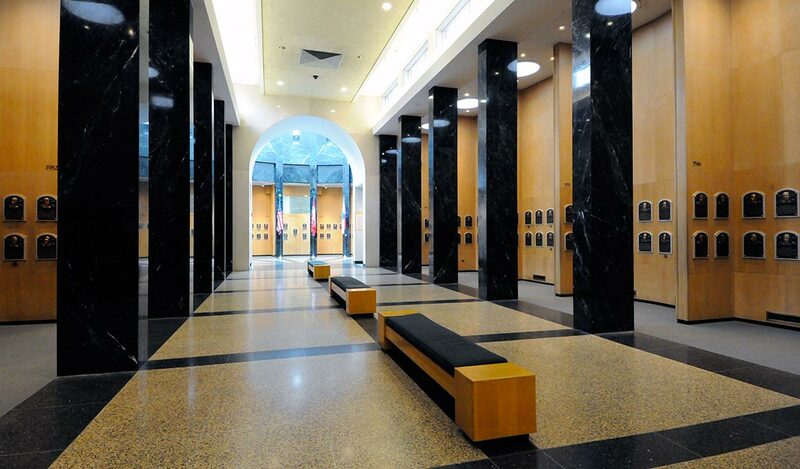 Visit the momentous Plaque Gallery and find the names of your baseball heroes. Discover interactive exhibits on Babe Ruth, the Yankees, and African-American baseball players. Bring your glove and ball for a game of catch outside, or buy them at the gift shop. Foster a deeper appreciation for America's favorite pastime and its unique place in our history at the Baseball Hall of Fame. Is there parking at the Baseball Hall of Fame & Museum? You can park in Doubleday Field's parking lot during the summer for an hourly or all-day fee. Two-hour street parking is also available, but limited. You can also ride the free Cooperstown trolley, which brings visitors from free parking areas to Main Street. Guests of The Otesaga Resort Hotel can park on the property for free and walk 8 minutes to the museum. Can I take pictures at the Baseball Hall of Fame? Flash photography and video recording are allowed throughout the museum. There's also free Wi-Fi for easy online sharing of pictures, videos, and audio files. Don't miss the outdoor sculpture garden!